Future Recycling has stayed ahead of these changes and wants to minimize the inconvenience to our customers. Future Recycling is one of the few scrap dealers in Victoria with the ability to reverse EFT straight into your bank account, allowing you to have access to your funds almost immediately. On the 27th of September of 2017, the Victorian parliament passed laws banning cash payments for scrap metal recycling. With this legislation in effect following parliamentary assent, a transition period for businesses to incorporate the new practice requirements by the 30 May 3018; at the latest as all provisions will be activated, the Justice Legislation Amendment (Protective Service Officers and Other Matters) Act will change the scrap metal landscape. The news is not unexpected. It has been in the woodwork for a while now and is expected to become an Australia wide decision. Although the laws were not to be effective immediately, cash for scrap only has two more months before it will be considered illegal under Victorian legislation. We welcome the decision as a means to crack down on crime and see it as an opportunity rather than a hindrance. If regulated properly, it will make the scrap metal industry safer and better for consumers in the long run. The regulation of the industry will cut out rogue scrap metal dealers who benefit from little government intervention and dirty the industry name. We will continue to take all kinds of scrap metal including aluminum, brass, copper, lead, stainless steel, and steel, amongst a host of old and unwanted appliances such as car bodies and radiators. 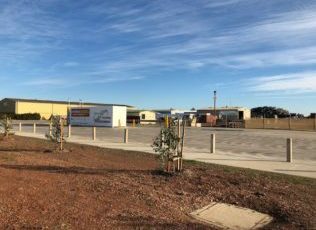 All three of our depots in Dandenong, Hallam and Shepparton are operating for your convenience, however with a couple of small changes to increase the safety of our industry and create a safer environment for Victoria.